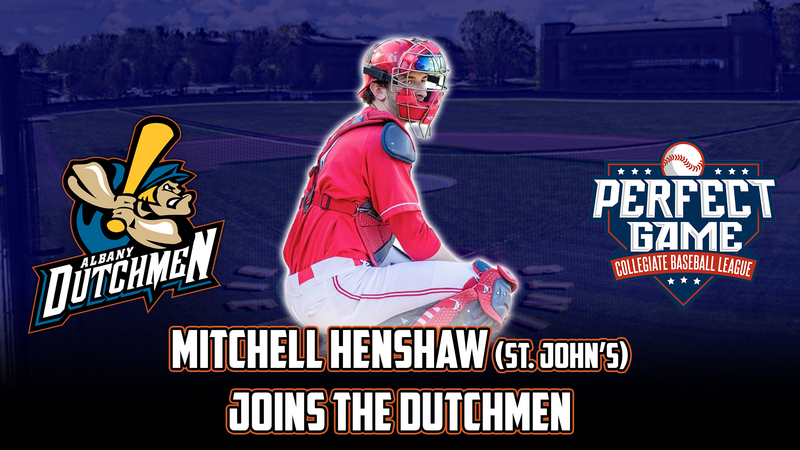 ALBANY, N.Y. – The Albany Dutchmen continue to build their roster for the 2019 PGCBL season by adding experienced players behind the plate, announcing that catchers Mitchell Henshaw (St. John’s) and Aaron Roose (Azusa Pacific) will call pitches at Connors Park this summer. Henshaw is a 6’0” junior who has played in 19 games so far for the Red Storm in 2019, starting in 17 of them. He has a .313 batting average with two home runs, 14 RBIs and has thrown out four baserunners on stolen base attempts. This is Henshaw’s first year with St. John’s after spending his first two college season with Potomac State College, where he recorded a .322 batting average with 12 home runs and 78 RBIs in his two seasons with the Catamounts. A graduate from Brockport High School in Brockport, New York, Henshaw made his name as a standout player in baseball and hockey. He was named to the all-county first teams in 2015 and 2016 and the first team All-Greater Rochester in 2016 for baseball. Henshaw also earned Section V Hockey Player of the Year honors in 2016 in addition to wining a Section V Hockey Championship with Brockport in 2015. 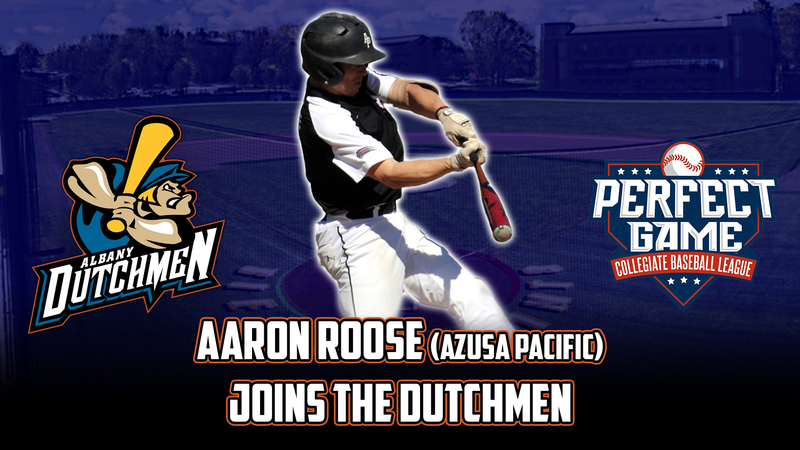 For the sixth season in a row, the Dutchmen will feature a player from Division II powerhouse Azusa Pacific University. Roose is the seventh player to take the field for Albany from the perennial California contender, who have had three of those players make the PGCBL All-Star team as Dutchmen players. A right-handed hitter, Roose has played 14 games for the Cougars this season, starting in eight of them. He also appeared in 23 games as a freshman for Azusa Pacific after graduating from Paraclete High School in Lancaster, California, where he won League MVP and League Defensive MVP honors during his junior and senior seasons. Roose was also a first team all-CIF selection his senior year. Albany starts the 2019 PGCBL season on the road Friday, May 31st at 7:05 p.m. against the Saugerties Stallions. 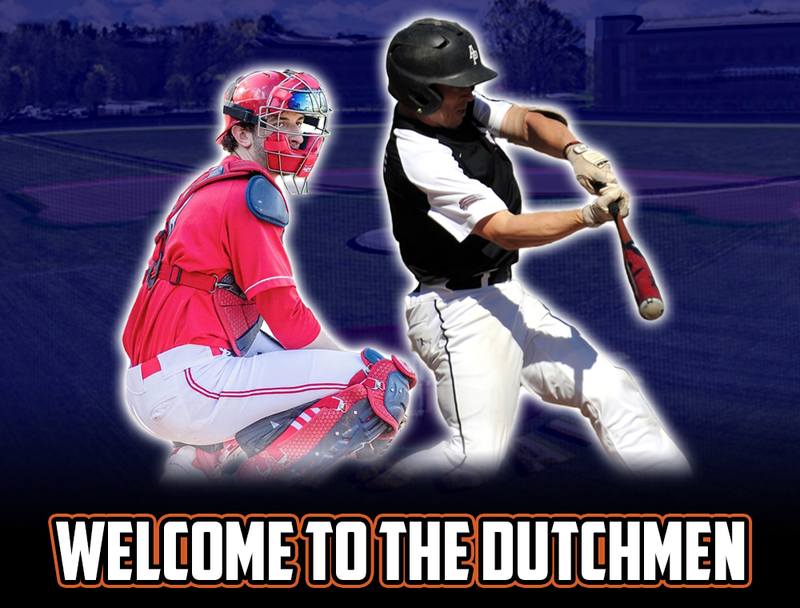 The first home game for the Dutchmen is on Saturday, June 1st at 5:05 p.m. against the Glens Falls Dragons. For ticket information and more, visit dutchmenbaseball.com.